Green cremation has been a popular choice for many people who have planned their funeral ahead. This is an eco-friendly process that involves no flames. 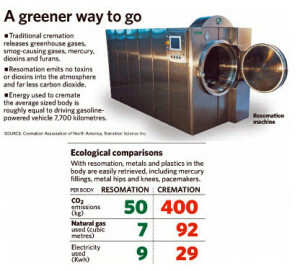 Hence, it does not emit much carbon dioxide and has no mercury emissions, making it a more preferable option for people who want to leave lesser carbon footprint on their cremation. Just like with a traditional flame-based cremation, there are also green cremation options that individuals can choose from. These services are like the ones available on traditional flamed-based ones, which make it easier for individuals and families to choose which services they will prefer. Individuals or surviving families can choose to have a public viewing for relatives, friends and colleagues before the cremation. The service can also include a funeral. Caskets do not need to be purchased as there are rental caskets that can be rented and used during the public viewing and funeral service. This is a more affordable and hassle-free option as there is no need to purchase a casket, which will not be used by the deceased. Green cremation can also include a funeral service where the surviving family and friends can have a small gathering before the green cremation. There is also an option that allows families and friends to have a small gathering after the green cremation. Memorial service can also be done after the remains are cremated and the bone ashes are given to the surviving family. This can either be done at a selected location or at the same building where the cremation took place. A private service is also available in green cremation where immediate family members and some close friends are the only ones allowed to attend. This is often a solemn gathering to help the surviving family cope with the loss, especially if the deceased is well-known and would have a lot of attendees on the funeral service or cremation process. Aside from gathering before and after the cremation, burial services also often allow surviving loved ones to view the cremation process. This means that the family can watch as the body of their deceased loved one is placed on the crematory chamber where the body will be submerged in water and chemicals that will dissolve the remains within 2-3 hours before the bones are pulverized and given back to the family members. Green cremation options will allow the family to have a regular funeral or memorial service for their deceased loved one despite a different kind of cremation process. 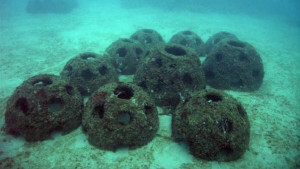 This allows the family to celebrate the life of their loved one before the remains are reduced and turned into bone ash, which can be buried, scattered or even turned into an Eternal Reef! Service options are not mandatory, though. Hence, families can choose whether they want a simple and basic cremation or have services before or after the cremation process.